Hillsboro City Councilman Justin Harsha (left) presents a prclmation to Highland County YMCA staff in recognition of the facility’s 15th anniversary. Also pictured are Kellie Kiser (front, right) executive director Highland County YMCA; Chris Tracy, senior program director; Debbie Vance, member services coordinator; Sheila Hinton, executive director Clermont County YMCA; and Tom Morris YMCA instructor. A scene from the Highland County YMCA’s 15th anniversary celebration is shown in this photograph. 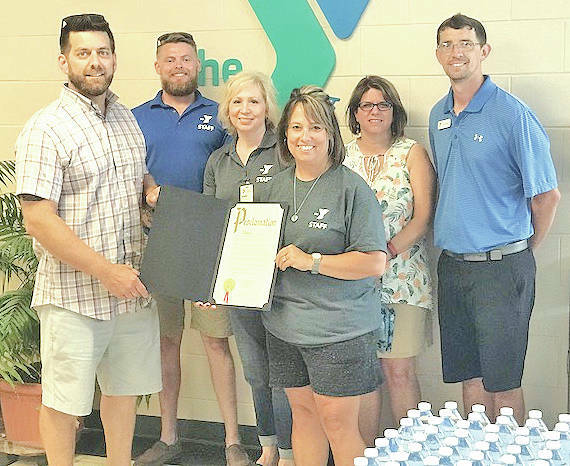 https://www.timesgazette.com/wp-content/uploads/sites/33/2018/06/web1_YMCA-pic-1.jpgHillsboro City Councilman Justin Harsha (left) presents a prclmation to Highland County YMCA staff in recognition of the facility’s 15th anniversary. Also pictured are Kellie Kiser (front, right) executive director Highland County YMCA; Chris Tracy, senior program director; Debbie Vance, member services coordinator; Sheila Hinton, executive director Clermont County YMCA; and Tom Morris YMCA instructor. 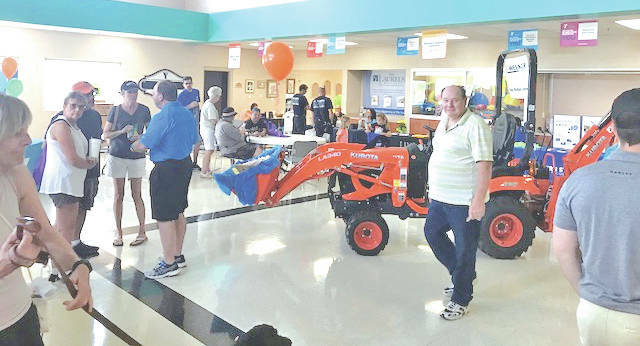 https://www.timesgazette.com/wp-content/uploads/sites/33/2018/06/web1_YMCA-pic-2.jpgA scene from the Highland County YMCA’s 15th anniversary celebration is shown in this photograph.